It’s easy for me to place my will and my life into the hands of God when I’m spiritually centered, when I’m at a meeting, when everything is going my way, or when I’m praying or meditating. But it’s a whole other story for me to do it when I’m frustrated, things are not going my way, or I am determined to get something that I want. In those moments, I am driving the car, and telling God to hop into the backseat. I am under the delusion that I can handle things much better than my higher power. What I have forgotten is that God is not some control freak trying to prevent me from being happy. 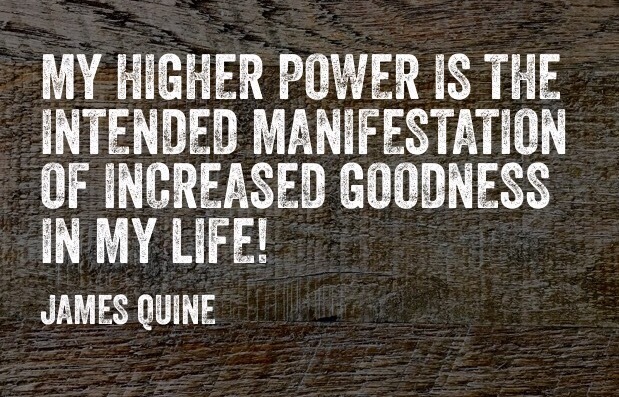 Rather, my higher power is the intended manifestation of increased goodness in my life. So why in the world would try to push that away? When I take the time to nurture my mind, body and spirit with love, kindness, understanding and gratitude, I much more likely to have God guiding my thoughts, attitudes, and actions. And when that’s going on… ILML!